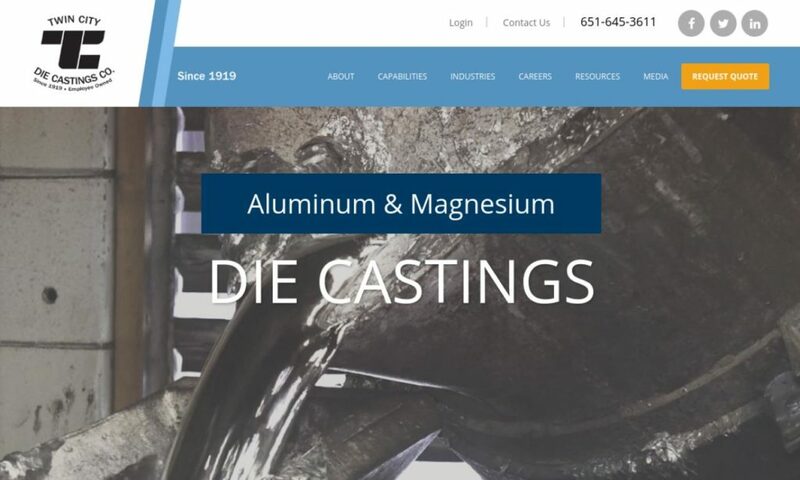 A reliable source for Die Castings information and a resource for accessing leading Die Castings and suppliers. Die casting is a process by which solid metal parts and shapes, called die castings, are formed. Die casting takes place in facilities called foundries. In short, die casting works by applying high pressure and forcing molten material into dies, also called molds or die molds, then letting the metal cool. Secondary finishing processes sometimes follow this process to bring die castings up to the quality their intended applications. Die Casting Die casting is a process by which solid metal parts and shapes, called die castings, are formed. Die casting takes place in facilities called foundries. Precision die castings plus a multitude of related services, including engineering, designing, machining, finishing and assembly, occur at A and B Die Casting. Specializing in low to medium volume solutions, we also offer competitive prices. Carteret Die Casting has grown from a two man and two machine operation in a tiny 1000 square foot space, to a company that has over 20 state-of-the-art equipment. 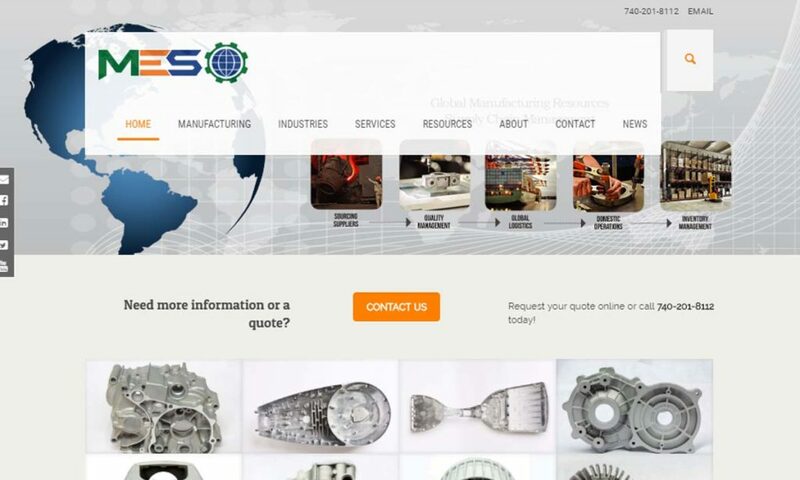 Here at MES, Inc. we are a full-service global manufacturing and supply chain. We offer a number of different types of die castings including aluminum die casting, zinc die casting, investment die casting and much more. 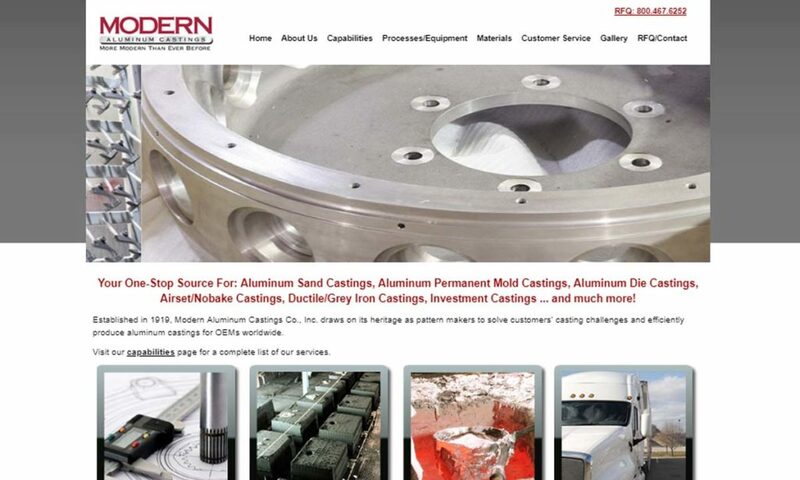 Aluminum Die Casting Company, Inc. Precision Die Casting since 1950. Aluminum die casting and zinc die casting for aerospace, electronic, commercial industries. Turnkey operations from design or your blue print to assembly. 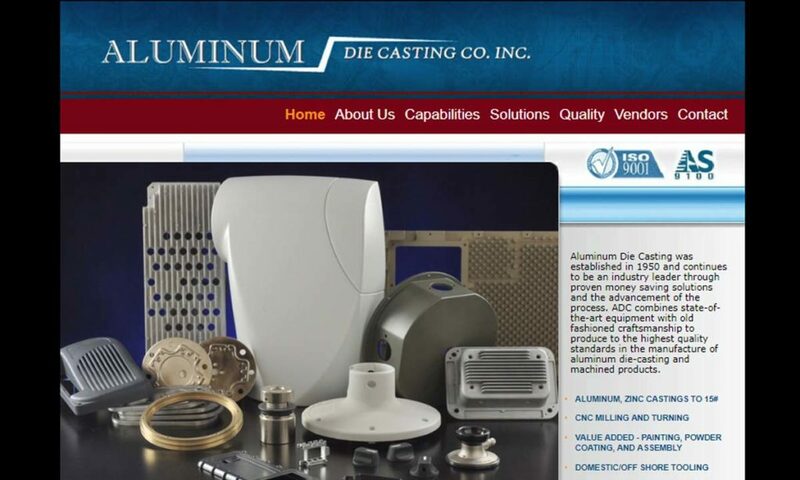 Modern Aluminum Castings offers customers full-service die castings and related capabilities from design to delivery. We work with a large variety of metal options, making us your one-stop source. Twin City Die Castings is a full service, precision die caster. Family owned since being founded in 1919, TCDC has grown to 3 locations with die cast machines ranging in size from 600 to 1000 tons. Despite a moderate decline in the usage of this forming method since the introduction of processes like injection molding and vacuum forming, the number of die cast products in our world is incalculable. 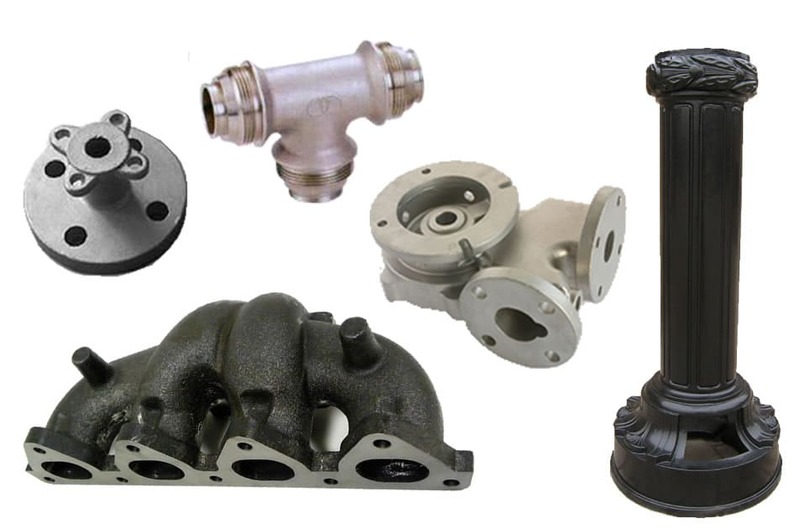 Die castings make up the majority of products requiring the strength of a seamless die-cast metal part, like sink faucets, gas pump handles and gumball machines. Also, automobile engine blocks frequently feature die cast aluminum valve covers. Other examples of die cast products include: engine cooling fans, air conditioner components, air valves and camera housings. In the tech world, high tolerance magnesium die castings serve as housings and interior EMI enclosures of computer and electronic parts, while miniature zinc die cast parts service various electronic equipment applications. Zinc die casting is also frequently used for cabinetry and door handles. The modern die casting process was invented in 1838. Its purpose at the time was to assist in printing by providing users with movable type for printing presses. About 100 years later, in 1949, the government issued a patent for a small, handheld device used to mechanize the printing industry. In 1885, Otto Mergenthaler invented the nearest predecessor of the modern die-casting machine. It was called the linotype. The linotype was used to help print newspapers. It wasn’t until the 1890s that people began using die casting for more than the printing industry. At that time, manufacturers began using die press equipment to mass produce a wide variety of high quality items, such as frames, phonographs and cash registers. No element of die casting has changed more than the materials used during the process. At first, the major metals cast via die casting were lead and tin. While quite malleable, they did not have a great strength-to-weight ratio. Around 1914, things changed when manufacturers began using zinc and aluminum. With these materials, manufacturers were able to make much stronger die cast products. Within twenty years, manufacturers had expanded to magnesium and copper. Today, manufacturers can use any non-ferrous metal in die casting. As die castable metals have expanded, so have the techniques used to do so. Die casting machines can now function using much higher-pressure levels than ever before, and are able to churn out extremely high volumes of finished parts. Metals used in die casting are usually some type of non-ferrous metal casting, like bronze, lead, tin, aluminum, zinc, magnesium or copper. 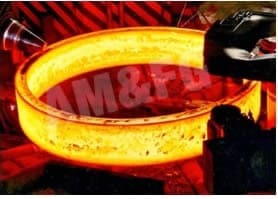 Alloys, especially steel alloys, may be used as well, but steel parts are usually forged instead. Bronze is a copper alloy that is usually about 12% tin. It is one of the oldest alloys in the world. There are many different varieties of the bronze alloy with differing properties. Generally speaking though, all bronze alloys are: ductile, thermally conductive, electrically conductive and aesthetically pleasing. Lead is naturally-occurring element that has been in use since at least prehistoric times in western Asia. It is dense, soft and malleable, with a relatively low melting point. It was once incredibly popular, but it is now heavily regulated because it is a recognized neurotoxic that is especially harmful to children. Lead is not allowed in any food service applications, nor is it allowed in pipes. Today, lead paint is banned in most European countries. Despite its toxicity, lead still has some uses in die casting, primarily as an alloy element. For example, when added to brass or bronze, it can increase machinability. Tin is another early die casting metal. It offers high density and extremely close dimensional accuracy. It is one of the primary elements of bronze. Tin is quite useful, especially in alloying. However, certain organotin compounds can cause poisoning on par with cyanide. That’s why OSHA has set a legal limit for tin exposure in the workplace. In addition, that’s why tin is not allowed in food service. However, like lead, it makes an excellent alloy component. Its main mechanical property is corrosion resistance. Aluminum and aluminum alloys are highly corrosion resistant, highly stable and highly conductive. They also have a very low density and are relatively easy to cast. These qualities make aluminum very useful in electrical industries. The only drawback of aluminum die casting is the fact that you cannot hot cast aluminum. Zinc is highly dense and highly ductile. It also boasts excellent surface smoothness, high impact resistance and castability. It is, however, susceptible to corrosion and often requires additional coating or plating. Most often, zinc is die cast into fine and very thin parts, such as mini electronic components. Magnesium is the nine most abundant element in the universe. It has an extremely low density and an extremely high strength-to-weight ratio. Magnesium is incredibly machinable, even after casting and processing. It can be cast in either a hot or cold chamber. The only disadvantage of magnesium is the fact that it is susceptible to creep, also known as cold flow, and is therefore generally unsuitable in very high stress or very high temperature environments. Magnesium alloys, on the other hand, have potential in those environments. Copper is a naturally-occurring element that has been in use for thousands of years. It is exceptionally stable, strong, durable, conductive, corrosion resistant and wear resistant. It has an extremely high melting point, which unfortunately means that it will more quickly wear out the dies and casting chambers used to treat it than those used to treat other metals. Steel is a high strength alloy, made up primarily of carbon and iron. It used in all sorts of applications, including infrastructure, automotive manufacturing, defense, marine manufacturing, machines and more. Closed die casting molds are made by cutting an original mold into two separate blocks, tooling them back together with their cavities aligned and spraying the new mold with a lubricant that helps regulate temperature and makes parts removal easier. Closed die casting molds can open and close, though, as their name suggests, they must be closed at the start of the die cast process. Once closed, molten metal is poured into a shot sleeve and, under high pressure, injected into the die with a plunger. The metal begins cooling and solidifying almost as soon as it enters the mold cavity. The cannot open until it cools and hardens completely. When a mold cast part has solidified, pressure drops, the die opens and ejector pins push out the solidified metal shape, which is called a “shot,” rather than a part. Once the shot is ejected from the die, it is tooled and deburred to remove any excess material. Excess material usually forms in leakage areas between the die mold cavities and in channels leading to the die mold, taking the shape of flash, sprue, runners and gate. Flash is excess metal on a die cast part that extends past the die set’s parting line and blocks other metal from flowing past it and filling the mold. Sprue transfers molten metal to the runners, which are horizontal mechanisms connected to the sprue for the purpose of transferring molten metal to the mold. Finally, gate refers to both the passage molten metal takes from the runners to the die cavity and the complete ejected content of a die. 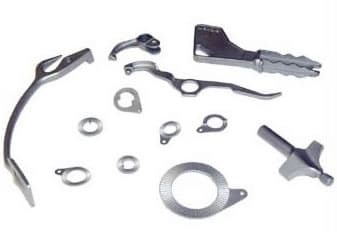 As noted above, sometimes, this excess material requires more than tooling and deburring, and undergoes more secondary processes, such as CNC machining, surface finishing and plating. Such processes may accomplish a variety of things, like the removal of blisters and blow holes, surface strengthening and the increase of conductivity or compatibility. Before die casting your part, manufacturers will consider a number of factors, such as: element thicknesses and intricacies (affects the amount of time the metal should spend in mold or molds) and complexity of cast design (affects solidification time). To customize a die casting process for unique requirements, manufacturers can adjust the die design, process heat, the material composition or how long the material spends in a mold. Manufacturers can perform die casting using either a hot chamber machine or a cold chamber machine, as well as mold cavities. A hot chamber machine is used for high pressure die casting. Inside the hot chamber machine, molten metal is injected at an extremely high pressure and never separated from the machine. A cold chamber machine uses metal that has been melted in a separate area. The metal is ladled into the die cast machine. The mold cavity is made from two hardened dies. Every die is cut from metal to create a certain shape, and most are made to create closed die castings. The mold cavity works similarly to an injection mold. It does reflect the exact dimensions of the finished part, allowing for occurrences like: machining, distortion draft and shrinkage. All die casting machinery can be customized per the needs of the application. Variations on standard die casting include: vacuum pressure casting, low-pressure casting, semi-solid die casting and squeeze die casting. Vacuum pressure die casting places the metal in a chamber above the mold. Applied vacuum pressure forces the metal into the mold cavity, where it cools and hardens. This process reduces any turbulence caused by the sudden movement of the metal. It also limits the amount of gas inclusions. During low pressure casting, molten metal rests in a chamber below the mold, where it is pressurized until it rises up through a tube into the mold cavity. This die casting method is used to create precise, symmetric designs, like car wheel casings. Low-pressure casting is most popular for making aluminum components. This casting process starts by cutting a workpiece into several smaller pieces, called slugs. These slugs are then melted down until they have a somewhat slushy texture, they are then forced into the mold cavity, where they cool and harden. Semi-solid die casting, also known as thixoforming, offers its users a great degree of precision. Most often, it is used with aluminum, aluminum alloys or magnesium alloys. Squeeze die casting begins when molten metal is poured into an open die. Once the metal is inside, the die squeezes shut, pushing the metal out to every corner of the die. Squeeze die cast parts are exceptionally dense. Most often, die casting manufacturers use this process with low fluidity metals and aluminum/aluminum alloys with high levels of viscosity. Why invest in die castings? For one, the process of die casting is affordable and versatile; it offers high volume, low cost means of producing metal shapes, products and parts that have much closer tolerances and far more intricate designs than pieces produced by other methods. The intricacy of die castings does not slow down the process of fabricating them. Rather, die castings, especially zinc and aluminum ones, can be manufactured in large quantities at a low cost without facing compromise of quality. Die castings are also produced with fewer secondary processes and less processing than those made through methods like metal stamping, hand tooling or forging. Their versatility continues with casting options; they may be made through hot chamber or cold chamber casting and they can be made into virtually any shape. Die castings are durable and strong, and highly popular worldwide. If your die molds are carefully designed, your materials thoughtfully selected and equipment properly installed and maintained, your investment will bear fruit. The key to a great experience is not just a great manufacturer—it’s the right manufacturer. Of course, to find the right manufacturer, you do need to start with some good options. To help you with this, we’ve compiled a list of die casting companies in whom we have faith.  You’ll find their contact information and comprehensive profiles sprinkled throughout this page. Take some time and look at what they each have to offer. 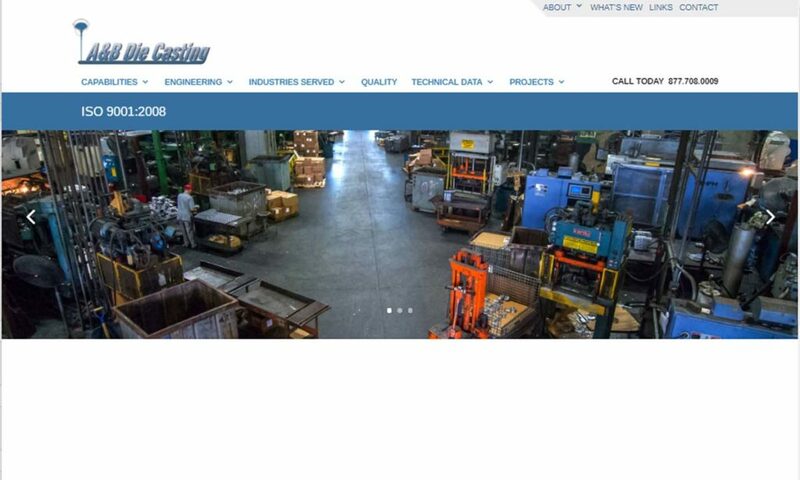 Compare their products and die casting services to your needs, and pick out three or four that you believe have the most potential to help you succeed. Then, reach out to each of them to discuss your specifications. Don’t forget to include your budget, timeline, delivery preferences and standard requirements. Make sure they can meet all of your requirements before agreeing to give them your business. When you’ve spoken with each of them, compare and contrast your conversations. Choose the manufacturer you believe will offer you the best service, and get started. Good luck!